Many of our vehicles include the remaining balance of the original factory warranty. For peace of mind and worry-free driving on those without factory warranty, or to extend it, you can protect your investment with a Lubrico warranty. 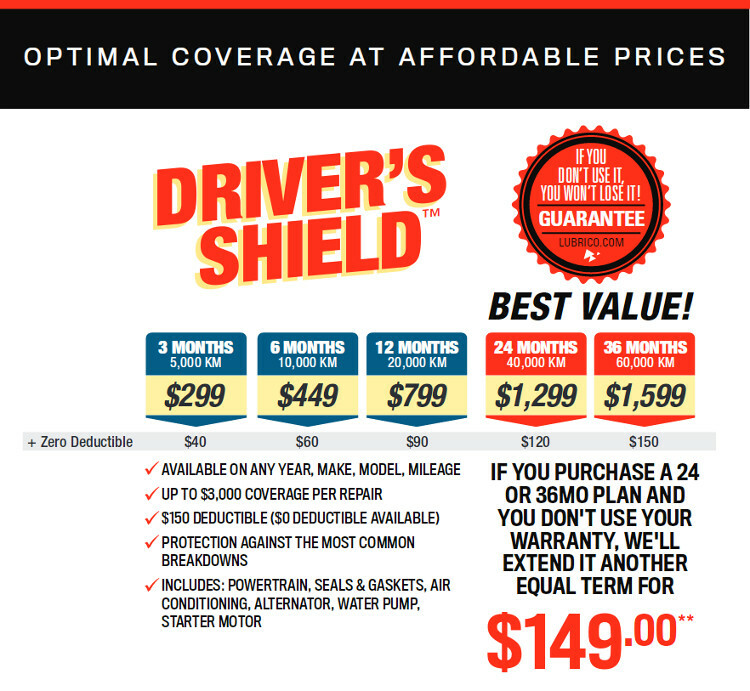 We recommend the Driver's Shield™ packages for optimal coverage at affordable prices! Call or stop by for more information.